No other healthcare provider has more education and focus on the prevention of injuries and symptoms than your Chiropractor. Most healthcare services are about treating symptoms and injuries after the fact. Pain is what most people go to the chiropractor for and it works really well for that. Our patients are learning that Chiropractic works even better to help prevent musculoskeletal aches and pains. The science behind musculoskeletal conditions and neurological systems are chemical based systems. This is important to know b/c it allows us to begin to understand how our diet and lifestyle has a tremendous affect on our health and why it does. For example statin drugs can reduce memory and degrade other parts of our body which is well established in many books. 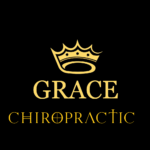 Chiropractic care is more than adjusting a joint or removing nerve pressure, it looks at the body as a whole not as a collection of unrelated parts. Health isn’t the absence of illness, it’s at the very least the ability to recover from daily attacks of bacteria, viruses, stress and that’s not even considering the physical abuse we endure. The body does an amazing job of turning a donut into something we can use to feed our selves to some extent. Imagine how much better our cells could defend ourselves with high quality fuel, in the right amounts, at the right times and long enough to have a history of resistance and endurance to things that attack us daily. Prevention: I believe each muscle, joint, ligament, tendon should be taken through it’s full range of motion often enough that you body considers it a normal activity. As an example, if you can’t touch your toes and you are in an event that forces you to bend that far and you are not use to that something is going to become strained/sprained/ tear. Preventative care helps avoid this from occurring. Pain: Pain is always the last symptom to show up. The problem always occurs before the pain. Soft tissue, nerves, joints and injury of these tissues are treated with physiotherapies, stretches, exercises, bracing, mobilization, nutrition and life style modification. Maintenance care: Is when a person has a chronic problem or a weakness/long lasting body damage, or that patient has a demanding job requirement, this person benefits from maintenance care. Many of our patients work at a desk or drives a truck or travels long distances often. These repetitive activities wear on the body and over time one hip becomes tighter than the other side or the left shoulder shrugs a little more than the right side. It is common for someone that sits a lot a certain way will usually stand the same way they sit – a little to the left or to the right. That doesn’t mean any of this causes a lot of pain but over time we feel like it is normal for us to be so off balanced. Maintenance care helps to identify and reset our posture, function and ability. Chiropractic care works good for pain complaints but it really works well for prevention.